From Kutch To Cochin, Leh To Kerala, December In India Is All About Festivals: 12 Exotic Festivals In The Land Of Diversity! Lo and behold people, December is almost upon us! And it is a pretty colourful time in the year here in India especially with respect to festivals. From the head in Kashmir, to its toe in Kanyakumari, the country will be adorned by festivities and merriment, testimony to how rich our culture is! 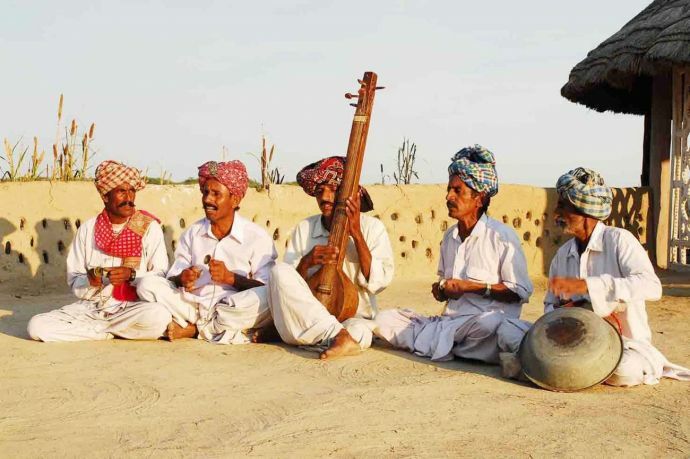 Extravagant and vibrant Gujarati culture boasts of one the most impeccable festivals in the country, the Rann Mahotsav in the salty deserts of Kutch. Enthralling musical and dance performances, camel rides and horse riding, paramotoring and other adventure sports are among the many things that make this festival absolutely fantastic! Celebrated with gaiety and grandeur in the quaint village of Kisana, 12 km from Kohima, the Hornbill Festival is a source of major pride for the North East. 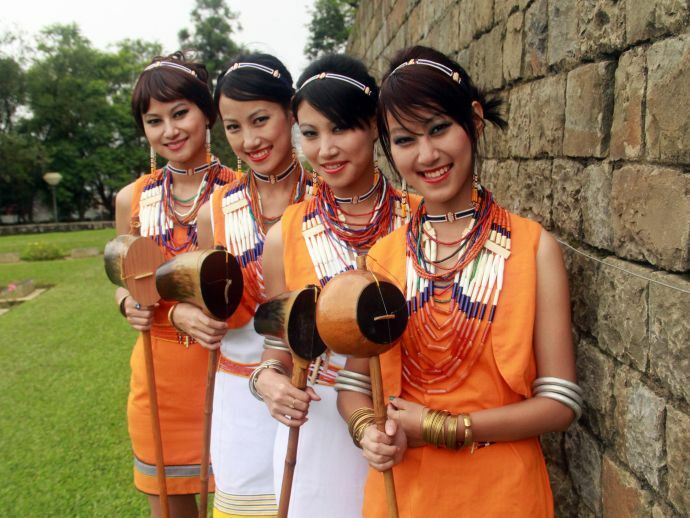 10 days of sheer merriment where the natives display their potential in war dance, handicrafts, music and more. 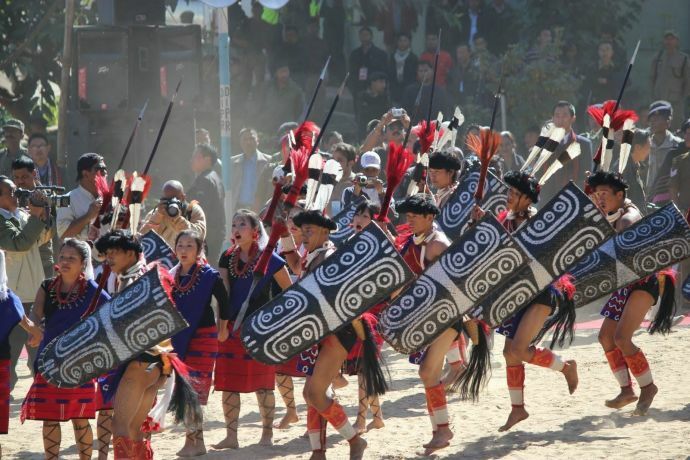 Traditional warrior tribes of the state which are key participants in this festival, present their headhunting rituals and people enjoy the folk dances on the go. The Hornbill National Rock Concert is organized on a large scale where musicians of all kinds add to the flavor of celebration. For tourists, the major attraction is the specialty rice beer, endless shopping in the night markets and adventure sports. 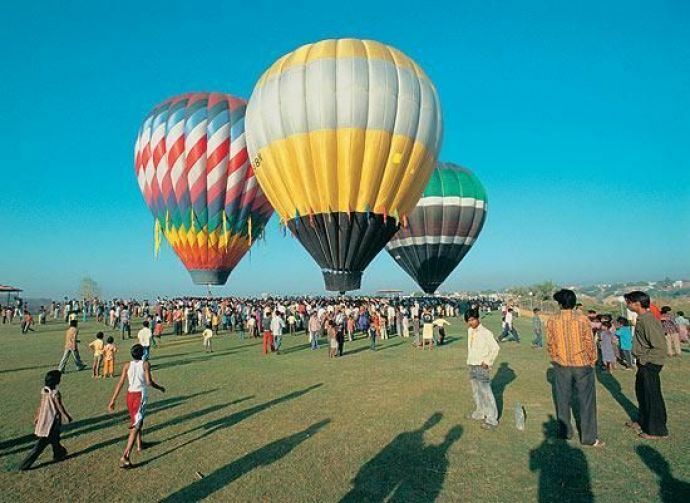 The Hot Air Balloon Festival is a unique festival in South India, organized by the Karnataka Tourism in Mysore, Hampi, and Bidar. People from across the world come here to experience flying high above the ground in the stunningly bright hot air balloons and catch the birds' eye view of the heritage sites Hampi and the Mysore Palace. 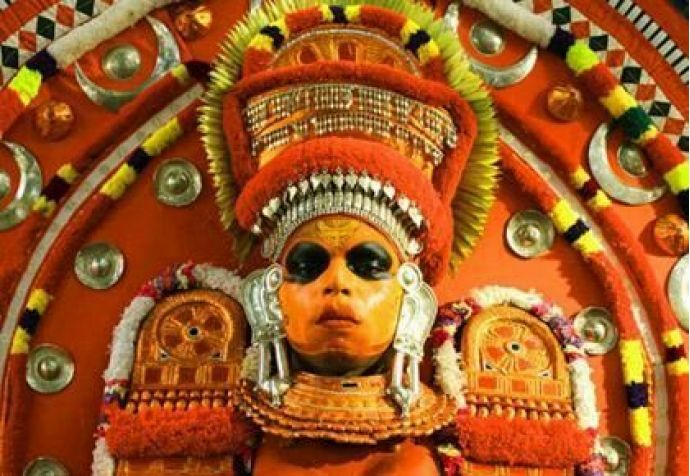 One of the most prominent festivals among the Theyyam festivals in Kerala is the annual ten day Theyyam festival of Perumthitta Tharavadu Kottamkuzhy in Kasaragod district.The event is a stage for a variety of Theyyams like Elayoor, Chamundi , Panchoorla and Muthor to name a few. The performer dons the role of heroes and ancestral spirits. Witnessing such an array of Theyyams together makes for an experience worth a lifetime. The festival also includes dance, mime, music, and enshrines the rudiments of ancient tribal cultures. 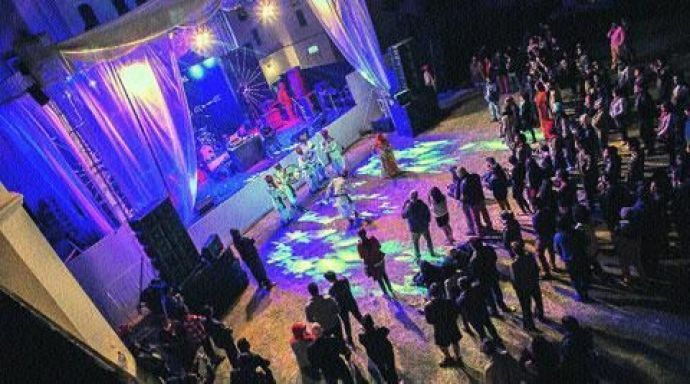 To experience the Rajasthani hospitality, to witness the Rajasthani heritage, to enjoy Rajasthani cuisines, the Magnetic Fields Festival is the place for you! This is one of the most awesome events in India where budding talents from India & abroad are given a stage to showcase their talents. Along with that, kite flying competitions, yoga sessions, treasure hunts, cooking & music workshops, camping and stargazing expeditions in the desert are also organized. Without a doubt, this is one of India's greatest cultural fests during the year. Instrumental recitals of violin, flute, veena, & mridanga are followed by inspiring vocal performances, dance performances like Bharatnatyam & Mohini Natyam and artfully directed dramas form the enchanting month of the Chennai Music Festival. You may as well read it as the Tamil Diwali! 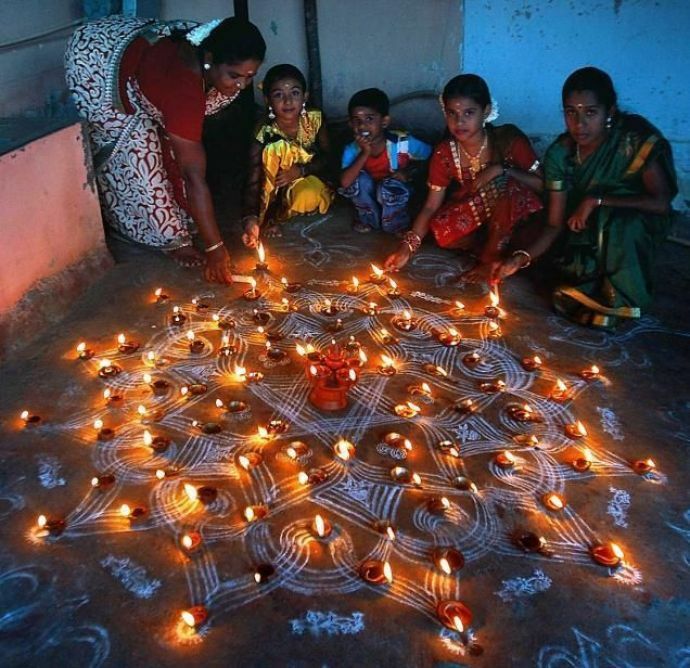 This festival of lights in Tamil Nadu is celebrated by lighting diyas in temples and homes and preparing special food stuff. Something that separates it from the Diwali is that this is started by lighting a huge fire on the top of a hill. It is a sacred activity and devotees from across the country come to see this yearly. Fairs and fireworks are also there to light up the end. 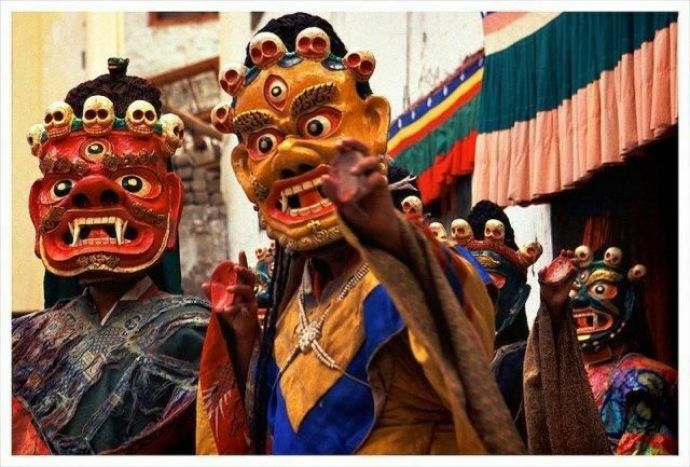 Leh Ladakh is a dream destination of all travelers and those who are lucky enough to visit the place in December can partake in the very well-known Galdan Namchot, which marks the advent of New Year in Ladakh and the birthday & Buddhahood of the Tibetan saint-scholar, Tsongkhapa. The natives decorate their monasteries and buildings, prepare dances and songs, make traditional food items and gift Khataks, a ceremonial scarf, to one another. 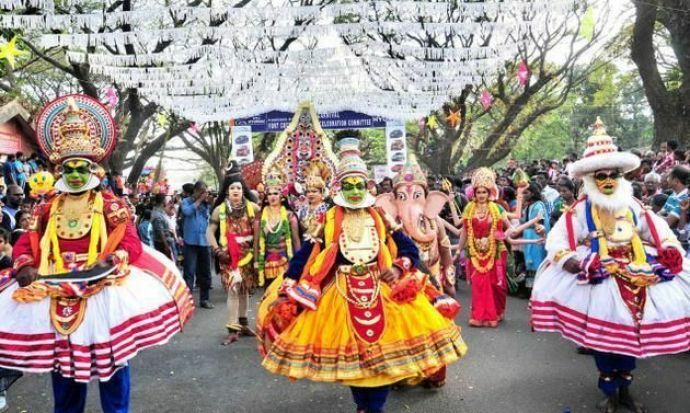 The Cochin Carnival is India's version of the Thanksgiving parade in the US, where colourfully dressed people line up on the streets with pomp and enthusiasm. Continuous playing of Panchavadyam (the blend of 5 instrumental music) is a key attraction amongst various other musical and dance performances. Since it is on the beach side, beach football, volleyball tourneys are also part of it. 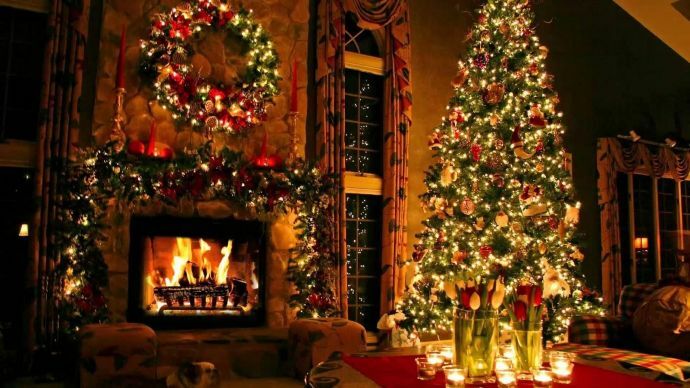 Decorated courtyards, ringing bells in the church, waiting for Santa Claus and his gifts, Christmas is one of the biggest festival across the globe and is celebrated with equal adulation across India as well. 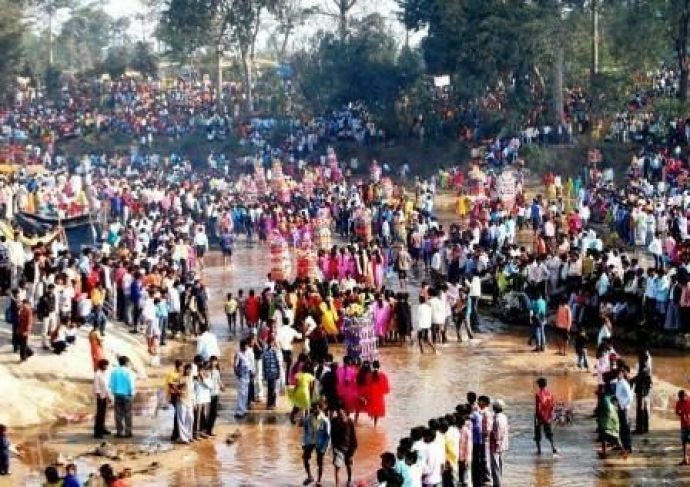 Bengal goes in a retro mood, as Bishnupur people gear up for the annual MELA (a grand fair). The entire week is utterly delightful especially for the ladies who have loads to buy! Stalls sell silk sarees, handlooms, printed silk scarfs and many other decorative items. Bishnupur is the capital for the beautiful terracotta artifacts and this festival is a major market for them. Cultural events and folk dances are also organized to go on the side. December = Winter, and the folks from Rajasthan celebrate just that with their Winter Festival. 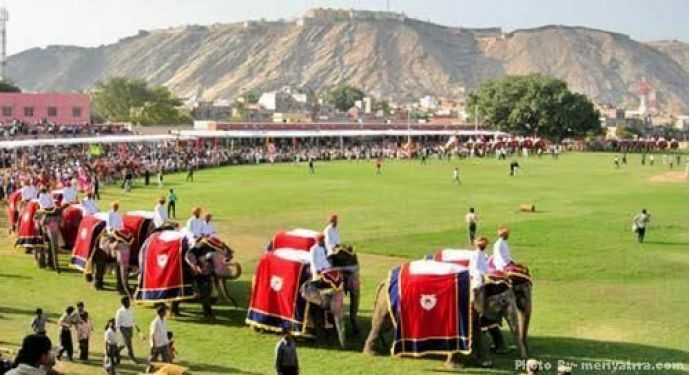 Boating and rowing competitions in Nakki Lake, dancers presenting Ghoomar and Gair, artisans displaying and selling their finest paintings and artworks, kite flying by day and fireworks by night define the likes of this festival in the Western mountains. Well India is all geared up, have you decided your destination yet?